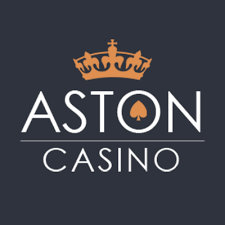 Aston Casino is a gaming website founded in 2012 that pretends to be as cool as James Bond, sitting in his new Aston Martin. Well, they do have two reputable licenses (from the UK Gambling Commission and Malta Gaming Authority), but their reputation is not that solid. The point is that the casino is operated by Progress Play Limited, which is known for cloning the casinos, providing a strict policy for inactive accounts, and offering tricky bonuses. Casual Games (Keno, Bingo, Lotto). Now, let’s talk about their banking. On the one hand, they have a pretty wide selection of the payment options. The list includes Skrill, Neteller, Visa, MasterCard, Trustly, Paysafecard, Euteller, WebMoney, and some others. On the other hand, the Aston Casino withdrawal time is longer than average. The pending period takes 3 days, regardless of the method you choose. Plus, the payout limits are low - €3,000 per week and €6,000 per month. The support service is more or less okay. It’s available via email and 24/7 live chat. However, phone support would be really nice. As a newcomer, you will get a straightforward Aston Casino Welcome Bonus - a 100% match reward, up to €200 on your first deposit, with no extra Aston Casino free spins. While the bonus itself looks okay, the wagering requirements are much higher than average. You will have to wager the bonus amount 50 times. But if you are “lucky” to be on their list of unspecified countries, these requirements will be doubled for you. What else? Oh, right, we almost forgot… The bonus is sticky, so that it’ll be deducted from your account when you make a withdrawal request. Don’t even try to look for some Aston Casino bonus code - it won’t help you. All in all, Aston Casino is another casino from the Progress Play family, which has almost nothing to differ from other members. They do have a great showroom, a decent choice of the banking options, and a cool game collection, but everything else is average or even worse.